What happens in Ohio impacts the world. It is here, in Ohio, where talent, collaboration and world-class businesses and organizations transform big ideas into industry-changing products, services and solutions. 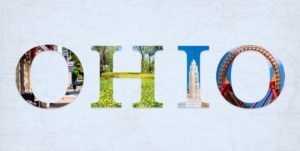 When meeting with company executives who are unfamiliar with Ohio, it can be challenging to summarize in a few short minutes everything our state has to offer. That’s why JobsOhio produced the Make Ohio Home video, which highlights Ohio’s unique assets, ranging from its infrastructure to the state’s greatest resource: its people. When communicating with potential clients through email or face to face, JobsOhio encourages you to share the Make Ohio Home video. Read more.